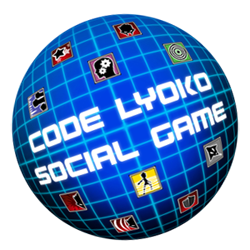 Find here a summary presentation of the blog for the Code Lyoko Facebook Social Game (also called the Code Lyoko Social Game). I love statistics and this game is perfect for observing them. When I began the game, my first instinct was to search for a guide, something that would tell me what each power did. When you play, you only see a phrase that tells you the effect, but not its value. So, I started on my quest to find these unknown numbers. I didn't have the knowledge nor the means to make a website, and a wiki would have been too much since one already exists (in English), to change it would have take a lot of time and wouldn't have enough freedom. So, I felt that a blog was the right way to go, it's the simplest way to share what I find with the community. What were the means used? Don't go looking for an excel spreadsheet. I used a sheet of paper, a pen and a calculator to start, and that serves me well. Although based on my idea, there are calculations that I must credit to a friend. 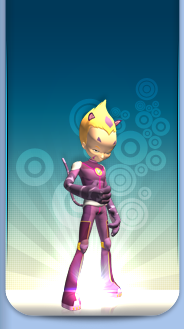 He helped me with several plans on his characters and completes my research. Some usernames or names are sprinkled throughout the pages of the blog. These are the people who contributed in a more or less direct manner to the completion and correction of the research. Click here to access the blog!